Synopsis: A naïve hustler goes to New York to seek personal fortune but in the process finds himself a new friend. Did You Know? This was the first and only X-rated film to win the Oscar for Best Picture. It has since been re-rated to R in 1971. Quotables: RATSO: I’M WALKING HERE! I’M WALKING HERE! UP YOURS YOU SONOFABITCH! YOU DON’T TALK TO ME THAT WAY! 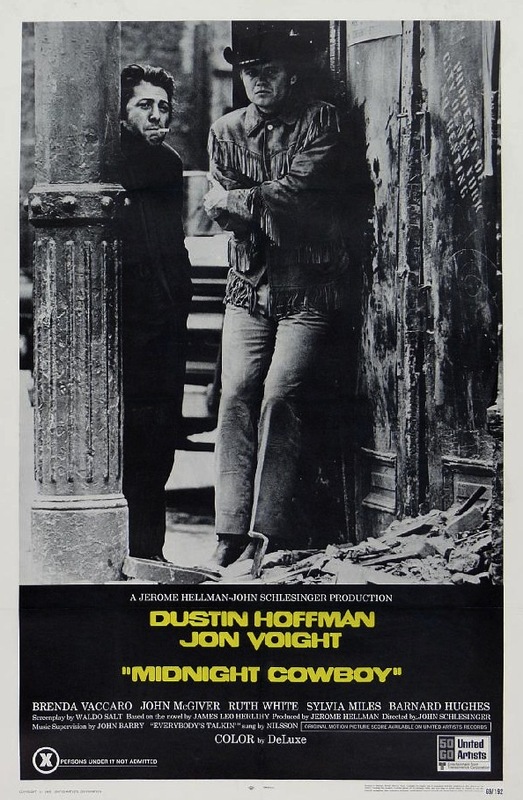 This gritty portrait of life unforgiving in the Big Apple is one of my favourite films of all time. A simple Texas “cowboy”, determined yet callow, quits his job washing dishes at a local diner to move to New York City, where he plans to be a big time gigolo. But his rose-coloured glasses are quickly shattered as he’s thrust into the jarring and austere reality of the world. Despite many setbacks, he tries to remain optimistic. In an unlikely friendship, Joe Buck befriends “Ratso” Rizzo, who has been chewed up and spit out more times than Joe can probably count. But as the story goes on, we learn that Joe himself has been battered by this cruel world before.